This New England Patriots Super Bowl LIII Champions Set Silver Coin Collectible is a fantastic addition to your Patriots collection. These Coin feature a commemorative coin for the Divisional Playoff Game, NFC Championship Game, and Super Bowl LIII. 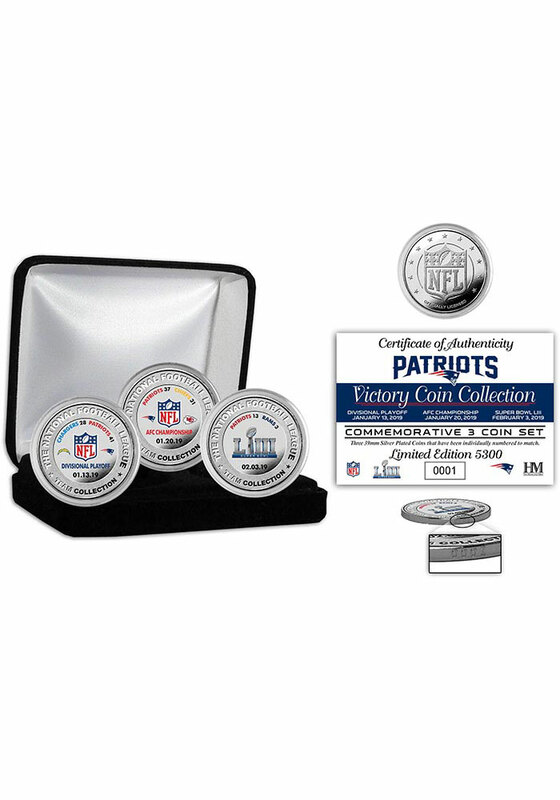 This New England Patriots Victory Coin Collection is accompanied by a certificate of authenticity.